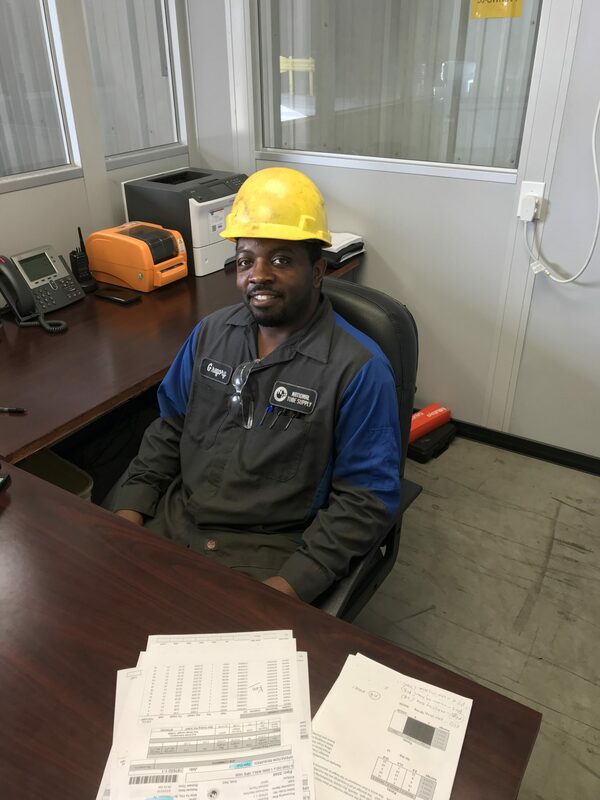 Here at our Baytown facility, we have two split shifts in the warehouse to better serve our customers’ orders around the clock. Around 10 a.m., I come in and talk to everyone on the 7 a.m. shift to see how things worked out during the morning. For example, did everything cut last night? Do you know if everything is ready for the house truck? Is there anything that needs to be run tonight? Everyone in the warehouse truly works together like a round-the-clock team – I really view these guys as my second family. Once I get a handle on the status of the warehouse, I go into the office to make sure that everything has been released for that day and the day after. When I get through some of the office work, I go back out to the floor to see what’s being run on the machines. I help with receiving, pulling, cutting, loading and shipping material as well as releasing orders for material to be cut, pulled, weekly audits on material, warehouse monthly inspections, etc. I rotate between helping out with the machines, monitoring the pack table area to ensure the correct materials are being pulled and routinely checking the receiving area to see if we need to unload anything. Once I’ve done my rounds, I’ll support the area that needs the most attention for a few hours. In the rare occasion that anyone falls short, I’m right there to back him or her up. I make sure to be someone they can depend on at all times. When 3:30 p.m. rolls around, I’ll get the ‘tonight cuts’ ready to run for the night. On any given night, anywhere from 10 to a few hundred cuts will run overnight. I’ll pick which orders are going to which saw and get the material pulled and ready for cutting. Around 5:30 p.m., I’ll tell the saw guys to finish up their last order for this shift. As soon as they have the ‘tonight cuts’ ready, they straighten up the warehouse and lock the building around 6:30 p.m. when we head home. After work, my favorite hobby is fixing older model cars. I feel as if I’m a doctor bringing something of age back of life. It’s a great feeling to bring nothing to something! I love it! And one of my other favorite things to do in Baytown is the EAT THE BBQ! I can’t get enough of it! When I started at NTS a few years ago, it was a growing company in Baytown. I wanted to grow along with it, as well. This turned out to be one of the best decisions that I’ve made. I’m very proud to be part of the NTS family and I feel grateful whenever I open those warehouse doors each morning.